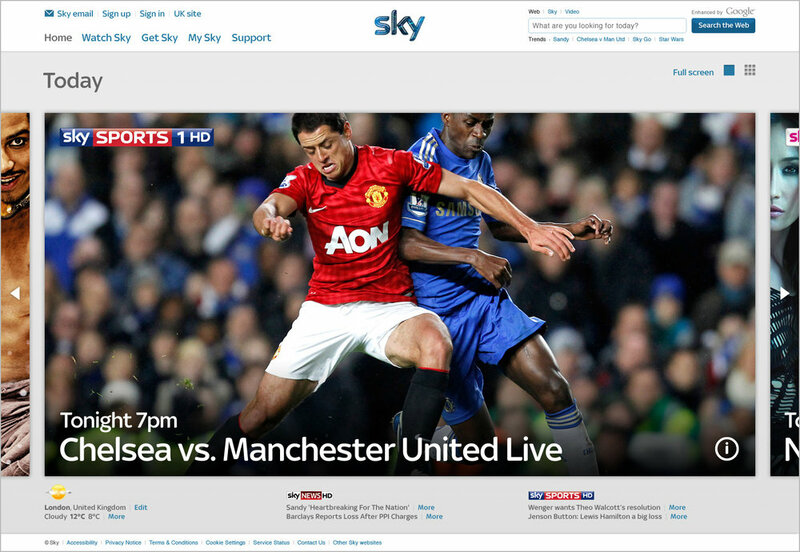 Concepts for the Sky.com homepage. Art directed by Serge Manoukian at Sky Creative. 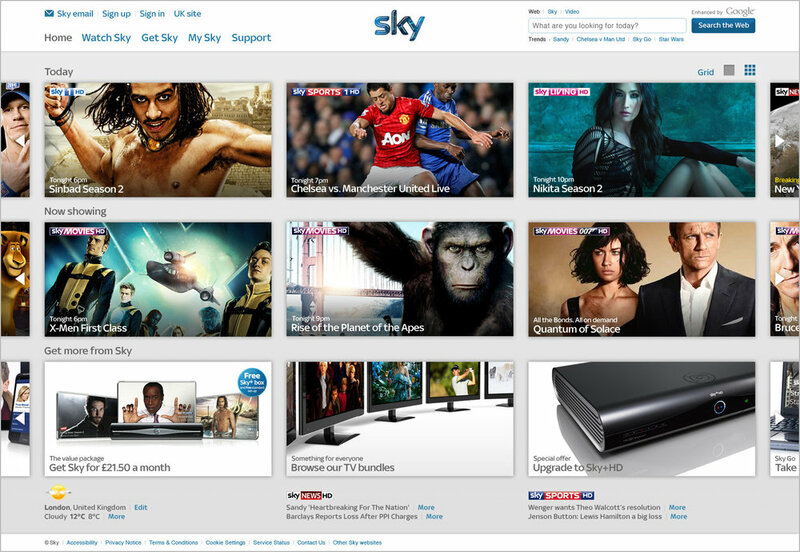 The actual Sky.com homepage we released in January 2013. 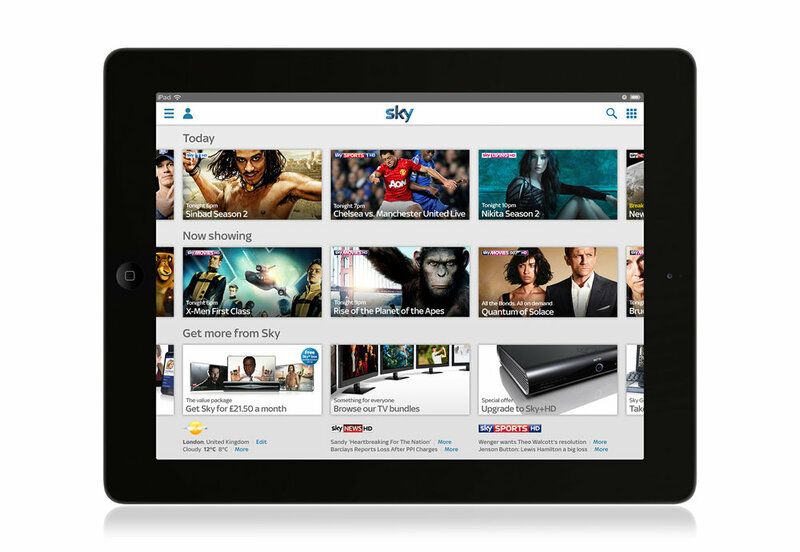 I worked with the Sky e-Experience team on creative strategy, digital marketing, online brand experience and user-centered design, on several high-profile projects, including the redesign of the Sky.com homepage. This assignment included ideation, quick prototyping and user testing of these different concepts. Full Screen mode – Zoom in / zoom out feature, including a flip mechanism to display more content details by request. Mosaic mode – At-a-glance multi-content display, offering flexible content discovery with independent sliders. 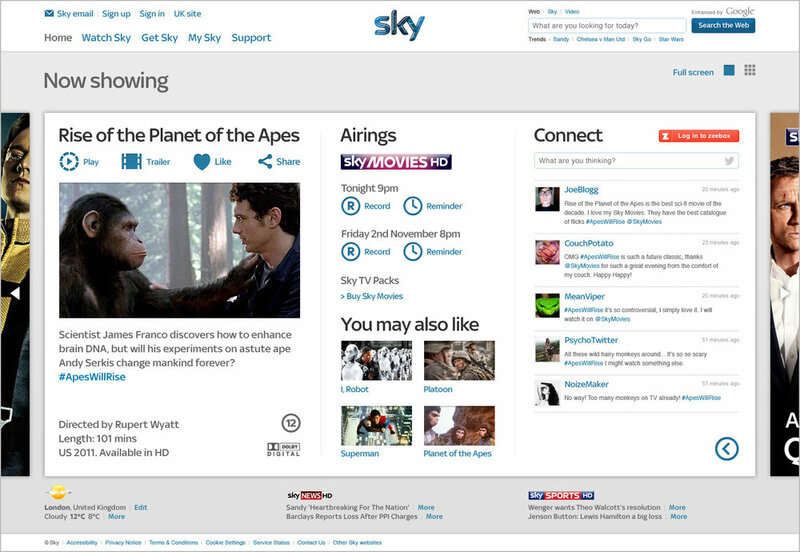 While I was developing these responsive blue-sky ideas for the evolution of the Sky.com homepage, I also worked on the design, production and delivery of the actual Sky.com homepage with the entire Sky e-Experience agile team. The pictures displayed in this case study are the property of Sky.